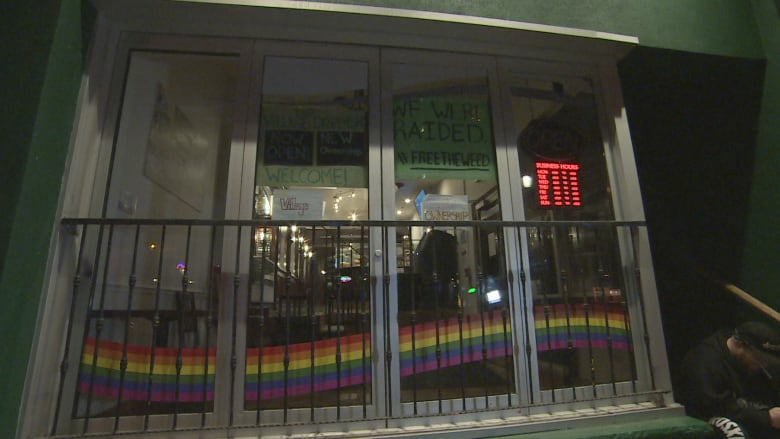 Police raided two pot dispensaries in Toronto Tuesday evening: the former Cannabis Culture on Church Street, now called Village Cannabis Dispensary, and a dispensary called Canadian Green. 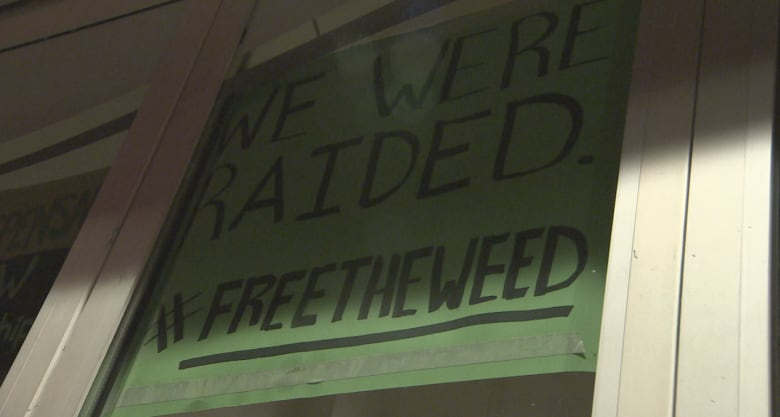 Police raided two pot shops in Toronto Tuesday evening. One of the raids was at the former Cannabis Culture at 461 Church St., now called Village Cannabis Dispensary. The other raid was at Canadian Green at Bloor Street West and Lansdowne Avenue, said Const. David Hopkinson of the Toronto Police Service. Hopkinson did not provide any information about how much marijuana was seized. He said charges are pending and investigations are still open. Ori Verkovitch, who calls himself a loyal patron of Cannabis Culture and friend of several of its employees, said he heading out of the store when police arrived. "They stopped people from leaving. They said to the people, 'If you work here, on one side. Anybody else better leave right away, or they're going to be dealt with accordingly,'" he said. "Everybody went outside, the staff were inside, they were spoken to for a while. They were then released," he said. 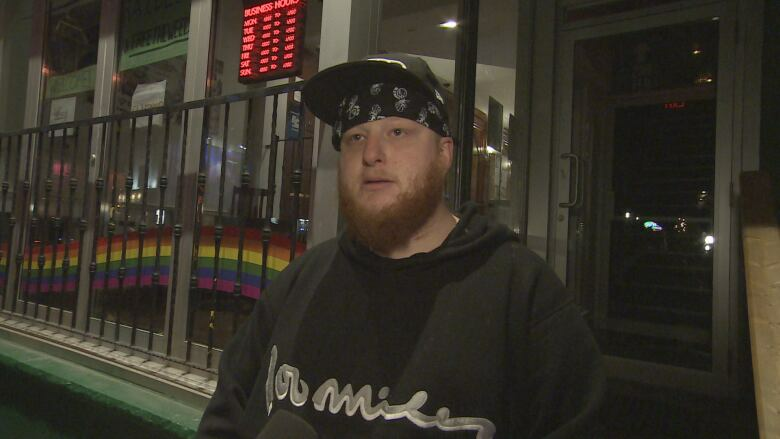 Ori Verkovitch, who says he's a loyal Cannabis Culture customer, was on his way out of the store when police arrived Tuesday evening. Verkovitch said police then went into the shop with a box and left by the back door. "The staff are all safe; the customers were all safe," he said. "Knowing the owner they're going to re-open right away, because that's how they operate." Canada's so-called "Prince of Pot," Marc Emery, had previously owned the Cannabis Culture store with his wife, Jodie. The two were charged with drug trafficking, conspiracy and possession earlier this month, after police raided various Cannabis Culture locations in Ontario and Vancouver. They were each released on $30,000 bail and one of their conditions was that they no longer manage or own the business. Jodie Emery said in a tweet to CBC News on Wednesday that neither she nor her husband own the store any longer, which has since been rebranded. The story's manager, Mark Harrison, said that other staff members bought the store after the Emery's arrest. A previous version of this story said the Emerys still owned the cannabis dispensary at 461 Church St. In fact, they sold it to several staff members after their arrest, store manager Mark Harrison said.